Our team is focused on finding solutions to our clients’ telecommunications infrastructure needs and has established an enviable reputation for delivering services on time, as planned. Formed in 2007, NIS has grown to a team of over 30 including jointers, pit and pipe installers, excavator operators, and hauling crews. We have more than 20 vehicles in our fleet including jointing vans, trucks and excavators, and a dedicated management and administration team that is focused on looking after our clients and managing every aspect of their project needs. Our focus is on end-to-end project management, acting as your representative in the preparation of documentation, ensuring your project meets network and council requirements and carrying out the necessary works to ensure connection. We manage our projects right through to the final paperwork required to meet VC81 documentation standards and the necessary compliance requirements, keeping you informed every step of the way. 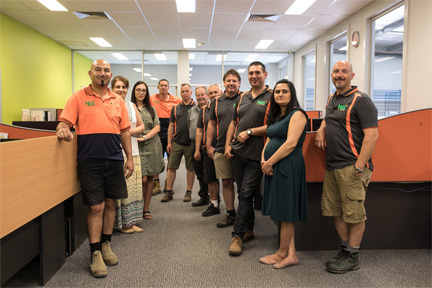 Headed by Angelo Michael and Rob Felice, NIS is a ‘no fuss’ provider, highly experienced in the pre-provisioning of telecommunications services and recognised within the industry for our knowledge, expertise and ability to get the job done. 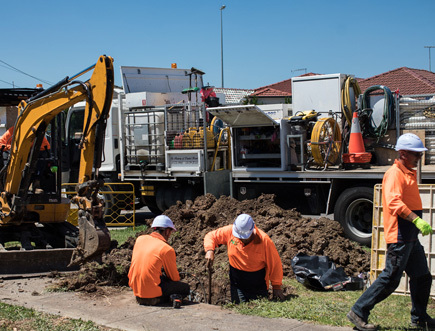 We are trusted by Telstra, Tandem (ISGM) and many of Victoria’s leading builders and developers and hold accreditation to work on a variety of telecommunications networks within Victoria. Safety is our number one value and a core consideration of everything we do. We are a fully accredited and Work Safe Licenced B Class Asbestos removalist, ensuring our services in this area are delivered safely and professionally.